Winter is always the time of year when the kids get sick and could use a little help sleeping through the night. The Vicks Starry Night Cool Moisture Humidifier is a great fun way to get relief when you so desperately need it. The Vicks Starry Night Cool Moisture Humidifier comes in 4 fun colors blue, pink, purple and green which it then lights up the room with a soft night light of stars and moons. The Vicks Cool Moisture Humidifier is not limited to just the Starry Night, they have 2 new other units the Vicks FilterFree Cool Mist Humidifier , and the Vicks Warm Mist Humidifier. 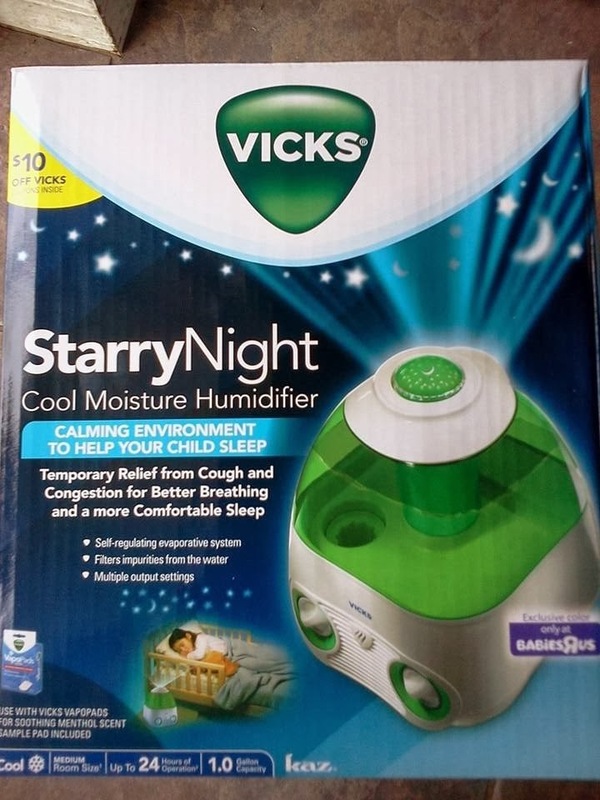 The Vicks Starry Night Humidifier is ideal for use in nurseries and children's bedrooms. The humidifier releases cool moisture into the air and projects a multicolor changing, star-filled night's sky on walls and the ceiling through the unit's built-in, independently controlled projector. Best used in medium-sized rooms, this model runs for up to 24 hours on a 1 gallon tank and features multiple output settings and quiet operation. You can learn more about the other Vicks products but clicking here. Vicks Humidifiers can be purchased at all major retail stores colors may very from store to store. You can purchase the green Starry Night only at BabiesR Us. While sick you normally can run a fever so thats where this wonderful device from Braun steps in. 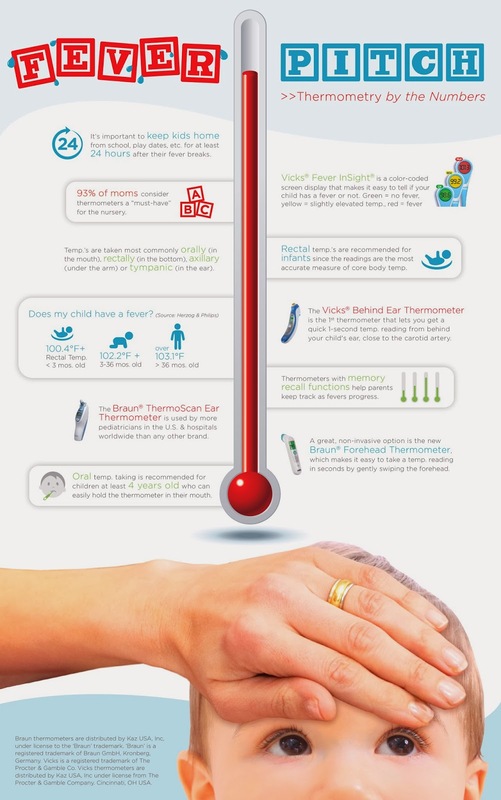 Check out Braun newest Forehead Thermometer! It works great on both infants to adults. Professional accuracy by a simple swipe over the forehead. 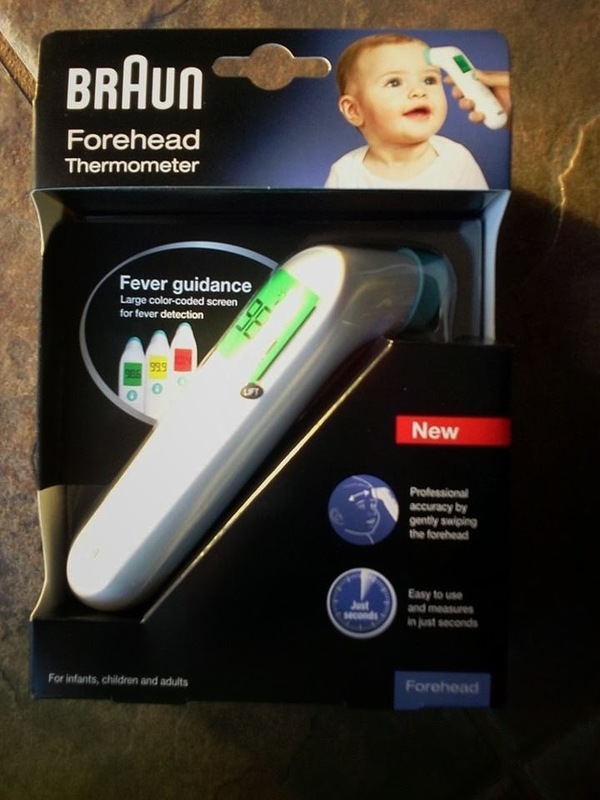 Kids hate to sit still even with a fever so this is a great get it done device which you can get results in seconds! Has a large screen to show temperature as well as 3 colors green for good, yellow for getting hot, and red for time to think about a visit to doctor. You can purchase this product at most major retail stores and see what else Braun has to offer by clicking here. One reader is going to WIN a Vicks Starry Night Humidifier! Enter using the rafflecopter form below. Good Luck! It depends on their illness,but I rub their foreheads,and cuddle them in my arms. Cuddle time and comfort foods!!!! I just let them cuddle and sleep in our bed! I snuggle and watch movies with them! We cuddle together and watch tv. Lot's of hugs and relaxing time for my little one. Chicken noodle soup & lots of blankets. Reassure them everything will be all right. We do a lot of cuddling!